bar for members and guests is open from April through October. The LACC Clubhouse is also home to the golf shop which is open from April through October (weather permitting). LACC’s semi-private 9-hole golf course remains open until the snow falls.Call 259-2868 during the season for tee times. Times for non-members are restricted during July and August. Many social events are held in the clubhouse throughout the year. Nestled in the pines and featuring breathtaking views, beautiful Lake Almanor Country Club Golf Course is a semi-private course which is also open to the public. 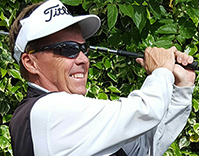 We would like to invite you to share in a challenging, yet fun 9 or 18 holes. Amenities: PGA golf lessons, a complete golf shop, driving range, and a full restaurant and lounge. Golf Shop Hours: Closed for the season. Dress Code: Appropriate golf attire must be worn on the golf course at all times. Click Here to schedule a Tee Time online. 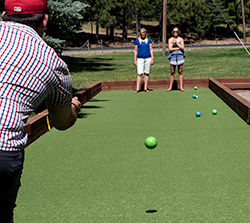 Lake Almanor Country Club has six tennis courts, four pickleball courts and two Bocci Ball lanes. The Sports Center Shop is located in Recreation Area 1, off Peninsula Drive. Two of the tennis courts are located “up the hill”, off Golf Club Road at “The Commons”. They are in a sunnier location, which is the preferred place to play during the winter months. These courts are oftentimes kept clear of snow all winter by a group of dedicated volunteers. The Sports Center opens on Memorial weekend and stays open seven days a week through Labor Day. The Sports Center Shop is headquarters for RESORT WEAR; TENNIS LESSONS, COURT RESERVATIONS; TENNIS & PICKLEBALL GEAR; GIFTS including LACC Wine Glasses, Mugs and Water Bottles; RECREATION EQUIPMENT. In the Sports Center you can get Snacks, Cold Drinks, Ice Cream, Candy and more. Bag Ice is also available in the shop as well as Wi-Fi, no password required. There are two recreation areas for the enjoyment of LACC members and guests. Recreation areas can be reserved and paid for at the LACC office. Recreation Area 1 is on the east side of the peninsula, off Peninsula Drive, and includes many amenities. There is a large barbeque area with tables seating several hundred people, a line of stone barbeques, volleyball courts, basketball court, horseshoe pits, badminton area, shuffleboard courts, and children’s play equipment. At the large sandy beach, with individual picnic tables and barbeques, there is a designated swim area with a lifeguard stand that is staffed from the latter part of June through Labor Day. The lifeguards and recreation staff provide an activity program through the summer including beach activities, swim lessons, basketball, soccer, badminton, field trips, special speakers, teen nights with karaoke, and craft activities. There are two boat launches located here with daytime parking for vehicles and trailers. Boat docking is limited to a maximum of one hour. Food, drinks, candy, ice cream and other goodies are available at the nearby Sports Center from the middle of June through Labor Day. 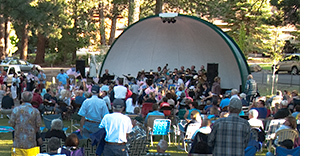 The bandshell is located here and the LACC Music Department provides musical performances on Sunday evenings during July and August. Recreation Area 2 is on the west side of the peninsula, off Driftwood Cove Road, and includes a boat launch, parking, picnic tables, barbeques, restroom, play equipment and a small sandy beach with a designated swim area. Lifeguards are not available at this location. A log boom does protect this small cove from the common afternoon westerly winds. No overnight parking is allowed for vehicles or trailers. Boat tie up at the dock is allowed for thirty minutes.